1. "So here is the central question of this book: In this modern era of cosmology, evolution, and the human genome, is there still the possibility of a richly satisfying harmony between the scientific and spiritual worldviews?" (p.6). What view did you have before reading this book on the integration of science and religion? How would you answer Collins's question now? 2. On page 23, Collins sums up the Moral Law, stating that "the concept of right and wrong appears to be universal among all members of the human species (though its application may result in wildly different outcomes)." Do you believe the Moral Law exists? 3. What caused the author to question his atheism? At the end of the book, he calls on the reader to question his or her current beliefs. Do you think this is a realistic request or will the average reader wait for a "personal crisis" before embarking on a journey of spiritual discovery (p.233)? 4. Did the book fairly assess the different religious "options" of atheism, agnosticism, creationism, intelligent design, and theistic evolution, renamed as BioLogos (p.159-211)? Did reading these descriptions change your understanding of any of these views? Which option best explains your beliefs? 5. Collins argues that atheism is the least rational of all these choices, since an atheist must claim such extensive knowledge that s/he can conclusively discount the possibility of God. Along those same lines, G.K. Chesterton called atheism "the most daring of all dogmas ...for it is the assertion of a universal negative". Do you agree? Is it possible to be rational atheist? 6. Collins states his belief that young earth creationist opinions ultimately harm the religion they represent more than help it: "But it is not science that suffers most here. Young Earth Creationism does even more damage to faith, by demanding that belief in God requires assent to fundamentally flawed claims about the natural world (p.177). Do you agree? 7. Collins presents data from the study of genomes (pp. 133 - 141) that argues for a common ancestor for chimps and humans. Do you find the arguments compelling from the anatomy of human chromosome 2, pseudogenes, and ancestral repeat elements? Why could this not be God using the same general themes in multiple acts of special creation? 8. Collins quotes (p. 83) St. Augustine's warning (in 400AD) that narrow interpretations of Biblical passages with uncertain meaning may place faith at the risk of ridicule if future discoveries conflict with that narrow interpretation. In what situations today do you think that warning may have relevance? 9. Discuss the following quote from Galileo: "I do not feel obliged to believe that the same God who has endowed us with sense, reason, and intellect has intended us to forgo their use" (p.158). What was Galileo trying to say? Do you think this statement is in tune with the author's views? 10. 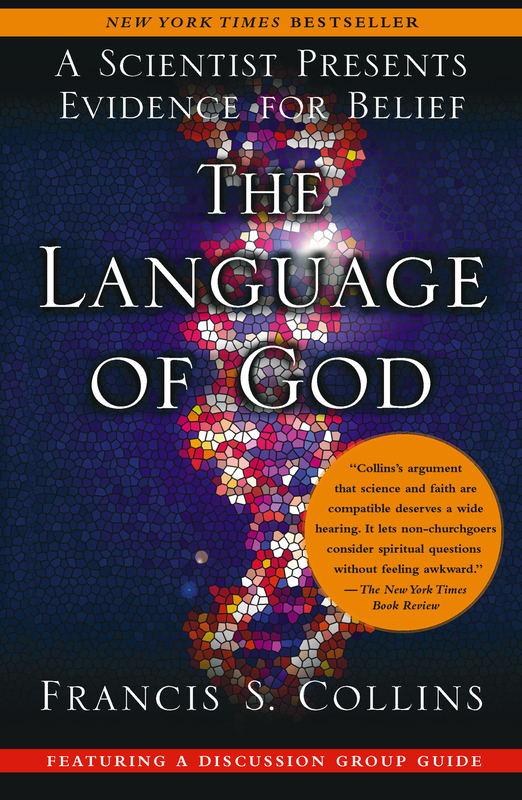 In the following quote from the book, Collins refers to "why" questions as those for which science is poorly suited to provide answers: biogenesis as the one event for which science will never be able to provide an explanation: "And as seekers, we may well discover from science many interesting answers to the question 'How does life work?' What we cannot discover, through science alone, are the answers to the questions 'Why is there life anyway?' and 'Why am I here?'" (p.88). Does Collins support this claim elsewhere in the book? Do you agree with him? 11. How does the theme of this book fit together with the opening lines of Psalm 19? 12. Collins frequently describes the danger of basing religious beliefs on the scientific information that we don't know, referred to as "God of the gaps" (p.93). "Faith that places God in the gaps of current understanding about the natural world may be headed for crisis if advances in science subsequently fill those gaps" (p.93). However, he also says that the answers he searches for are those that science alone cannot discover (p.88). Does Collins's personal search fall within his description of looking for God of the gaps? Why or why not? See pages 193 and 204 for more references to God-of-the-gaps thinking. 13. Do you foresee a time when organized religion will accept Darwinism, just as we eventually came to accept that the earth revolves around the sun? Is the battle between science and religion destined to continue over each new scientific discovery that is made? In November, 2006, Time magazine hosted a debate between Francis Collins and Richard Dawkins, author of The God Delusion, for a cover story (see http://www.time.com/time/magazine/article/0,9171,1555132,00.html). Bring it to your group, and discuss the strengths and weaknesses of the arguments. Reread Genesis 1 and 2 or read these passages for the first time or bring them to your meeting to discuss with your group. Do you see the two slightly different creation stories? How do you interpret these verses now that you've read The Language of God? C. S. Lewis is quoted frequently by Collins as the philosopher who helped him discover God, and Collins repeatedly quotes Lewis's work when important religious questions arise. Take a trip straight to the source and read one of the Lewis books that Collins quotes. Choose from The Problem of Pain, Surprised by Joy, Mere Christianity, and Miracles. For more information on C. S. Lewis, visit www.cslewis.org. As the head of the Human Genome Project, Collins has attracted a great amount of attention in the press and on the Web. Search the Internet for the information that interests you most about Collins and print a copy of what you find to bring in for discussion with the group. Good places to start your search include www.genome.gov, www.cnn.com, www.salon.com, and www.nytimes.com. There is also an online video of Collins located on the Web site for the PBS show "Religion and Ethics" at www.pbs.org/wnet/religionandethics/week947/profile.html. Take your online research of Collins a step further to discover sites dedicated to contemplating the coexistence of science and religion. Head to the Web site of the C. S. Lewis Foundation at www.cslewis.org or take a look at the companion site of the four-hour PBS special "The Question of God": www.pbs.org/wgbh/questionofgod/. Take a visit to www.godandscience.org, www.hawking.org.uk, www.ucmp.berkeley.edu/history/thuxley.html, and www.aboutdarwin.com for even more information. Try finding Web sites that explain more about the scientific and medical topics mentioned in the book. Search for details on the Big Bang, cystic fibrosis, personalized medicine, and the human genome. Sites such as www.umich.edu/~gs265/bigbang.htm, www.cff.org, http://www.personalizedmedicinecoalition.org/, and www.genome.gov are good places to start. Francis S. Collins is one of the country's leading geneticists and the longtime head of the Human Genome Project. Prior to coming to Washington, he helped to discover the genetic misspellings that cause cystic fibrosis, neurofibromatosis, and Huntington's disease. He lives in Bethesda, Maryland, and in his spare time he enjoys riding a motorcycle and playing guitar. "What an elegantly written book. 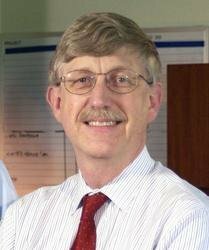 In it Francis Collins, the eminent scientist, tells why he is also a devout believer....A real godsend for those with questioning minds but who are also attracted to things spiritual."